6 Tips for Mowing When It's Wet - ProGreen Plus | Knoxville, TN | Lawn Mower Parts | Riding Lawn Mower Parts | ServiceProGreen Plus | Knoxville, TN | Lawn Mower Parts | Riding Lawn Mower Parts | Service | We've Got Your GRASS Covered! Also, clean the mower’s tires with a wire brush. Finally, wipe down the top of the mower to remove wet clippings, and fill its gas tank to remove air. If your typical mowing interval is every seven days, reduce that to five days or even less. This prevents the grass from getting long and shaggy. Tall grass is difficult to cut, and tall, wet grass is even worse. Most grasses in the Knoxville area are cool-season types. These grasses grow best with a long leaf of 3 to 4 inches. Most homeowners, however, cut these grasses way too short, and that problem is magnified in damp mowing conditions. The mower can’t handle it. Move the mower deck up to the highest or the second-highest setting and leave it there. If conditions are really bad, side-discharge instead of bagging or mulching. Set the mower to the highest setting, put the side discharge in place, and mow. This leaves rows of clippings on the lawn, of course. You can cross-mow (mow at 90 degrees to the first mow) in mulching or bagging mode to take care of the clippings; you can rake them up, or you can let them dry for a couple of days and mow again, this time in mulching or bagging mode. Use stabilizer every time you fill up your mower’s gas can, and be sure to buy no more fuel than you will use in two to three weeks. Better yet, find a station that sells 100% gasoline and use this in your power equipment. The ethanol in today’s gasoline has an affinity for moisture. Stabilizing the fuel and going through your fuel supply as rapidly impossible prevents fuel contamination. A sharp blade produces a crisp cut, and this keeps the grass healthy. It’s particularly important during damp mowing conditions, when the blade will have a tendency to shred rather than cut. 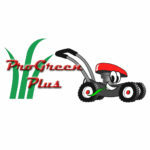 ProGreen Plus sharpens blades for only $4.99 when they are off of the mower. New blades start at only $9.99 each!